Hash ‘Bubble Bag’ kits are for sale! 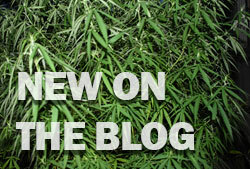 Making hash, or extract from herb plants can be done easy at home. 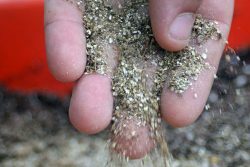 This “ice hash” method uses cold ice, water and different fine screened bags to agitate and filter precious herbal compounds off of plants, and into a concentrate, or hash. 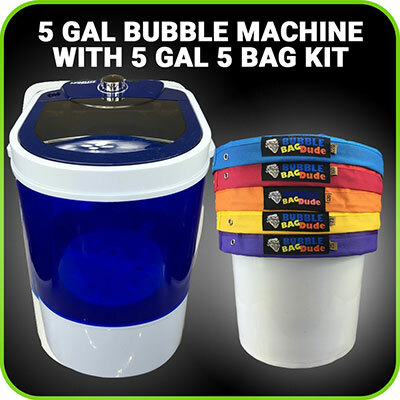 The “original” world famous bubble bags, The Bubble Bag Dude bubble bags are study, and will help you make superb bubble hash easily. Made in the USA, these durable bubble bags last long and don’t flake, unlike some of the cheaper options available on the market. Easy to clean and reuse again & again. 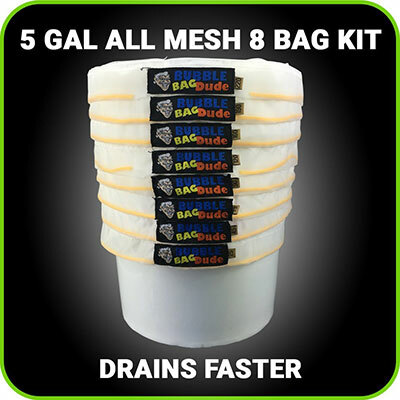 Bubble Bag Dude has been in the business for over 8 years producing quality hash making products, this is no exception. The large-meshed screen bags are use for simple filtering, while the smaller mesh bags are used to collect the potent extract, or hash. Some people only use 3 of the bags for basic hash making, while others use all five to get different qualities of clean, fine hash. Comes with a free 25 micron pressing screen and free carrying bag. This is the cheapest bubble bag hash kit that you’ll find for sale online. For beginners looking to experiment with hash making, but don’t want to spend more than a few bucks, here’s your option. 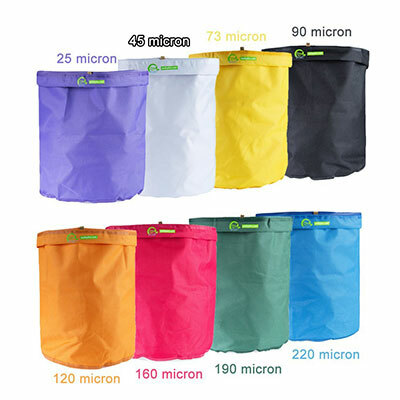 The Vivosun 1-gallon 4 bag bubble bag kit works with small 1 gallon buckets. 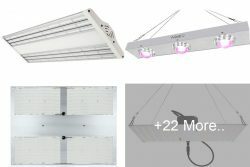 The different screens in each bag vary from 25 – 220 microns. 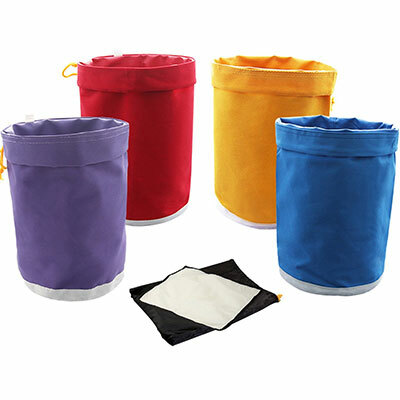 Made of nylon, for non-flaking and easy cleaning of bubble bags. Not as durable as a higher priced option, but still holds up better than other low-priced bubble bag kits. Comes with a fine pressing screen for your hash, as well as a carrying bag. This bubble bag kit is highly reviewed as a great deal for it’s really low price. Give them a try for a few bucks. The “Bubble Machine” is basically a high velocity washer machine that does the hash making process for you. 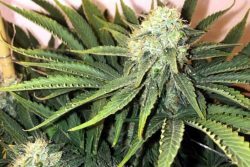 Churning weed in a bucket may be everyone’s cup of tea, so here is the easy choice. There’s a ‘washer spinner’ in the bottom of the machine that whips the cold water and herb around in a manner similar to a coffee grinder. After the automatic process is complete, simply pour the stirred herb matter and water into the filtration ‘bubble bags’ to produce your hash extract. 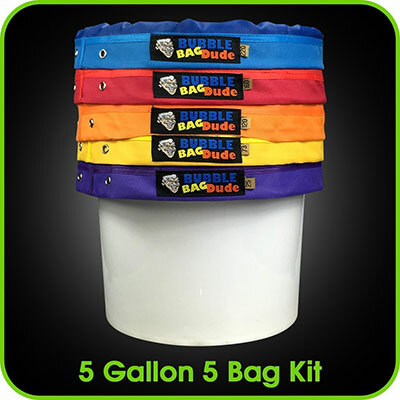 Bubble Bag Dude’s bags are made in the USA, and are the original high quality bubble bags. Although these are more expensive than other foreign made bubble bags. Double stitched bags + freebies. The durability and long life of these bubble bags has a good reputation. With a huge arsenal of different screen sizes, iPower 5-gallon hash bags are made of strong waterproof coated nylon material and are available at a super cheap price. Bubble hash bag screens are color coded and are sized as follows: Purple: 25 Micron, Yellow: 73 Micron, Green: 120 Micron, Red: 160 Micron, and Blue: 220 Micron. 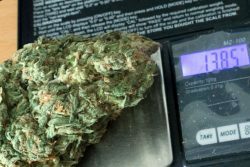 This may be a lot for the hash maker to deal with, but many hash connoisseurs want to be able to have the finest of the finest when it comes to bubble hash. The many filtration screen sizes of these bags lets you divide hash material into separate quality batches. Easy to use and easy to clean & reuse. Freebies like many others. 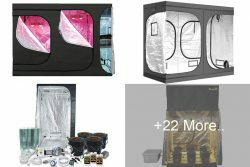 A cheaper option for those wanting to get into a full array of bubble hash making bags. A surprisingly high quality and positively reviewed product, the Geneva Barns hash bubble bags come in at a very affordable price – especially when you consider all the hash extract that you can make from them! Years ago you would pay hundreds of dollars for bags like this at your local headshop. This led to many bubble bag kits being shared among friends, some of which would never return them. Nowadays, everyone can afford to own a bubble bag kit for their own. No excuses – make some hash. The Geneva Barns bubble hash bags have everything you need to get started producing potent herb extract minus the bucket, water, ice, something to stir with and of course herb. A large following of people love these cheap economical bubble bags. 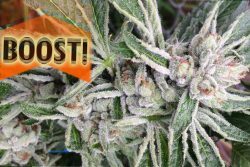 The ultimate top quality for hash bubble bags, the Bubble Bag Dude offers and all mesh bag kit that holds up to even the coldest of freezing temperatures. These bubble bags drain faster than many of the other cheaper models, and don’t seem to get clogged up as easily. A suitable relief for anyone who has held up the draining bubble bag for minutes, waiting for it to drain slowly. Drain fast and process your hash on the double. 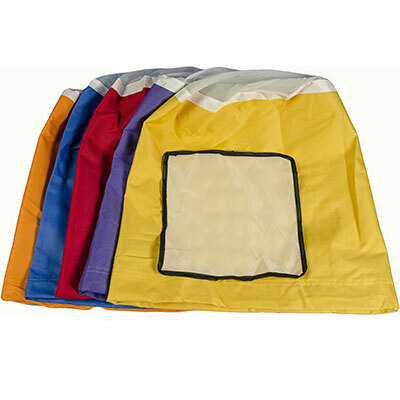 Color coded bags are equipped with screens sized at micron sizes : 220, 190, 160, 120, 90, 73, 45 and 25. Just add a bucket, herb, ice and water. Get the highest quality bubble hash bags available now, and start making some A+ grade hash instantly. Bucket 1: Line the bubble bags into the inside of this bucket, using the fine screened small micron bags first and the larger screened micron bag last. Just let this sit here as so for now – we’ll come back to it. Bucket 2: Fill bucket 2 about halfway full with enough cold water to cover the bottom of the bubble bags. Some people including myself, like to add ice into the mix also. 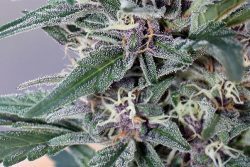 This will make churning the mix more difficult, but you will achieve a colder temperature, which helps to knock the desired compounds (THC, CBD, ect.) off of the herb easier. 1.) Add your dry or frozen buds or trimmings into bucket 2, go ahead and dump them into your cold water and ice mix. 2.) 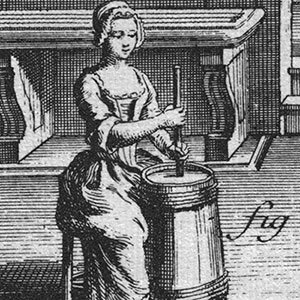 With your stirring stick or broomstick, churn the herb and water/ice as aggressively as you desire. 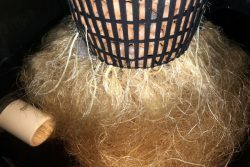 A benefit of this two bucket system is that you will not damage bubble bags while you are churning, a common problem while stirring herb inside of the bubble bag, as the old method suggests. With no bubble bags lined in a bucket, you can hit the bottom and sides of the bucket as you please. 3.) Stir the mix good, make sure you are hitting the herb with your churning motions. Some dudes like to go super crazy and beast churn the mix like a madman, but if you overdo it you’re only creating fine plant or leaf matter that will degrade the hash quality. Some people like to use kitchen appliances or power tools to help stir. That choice is yours. 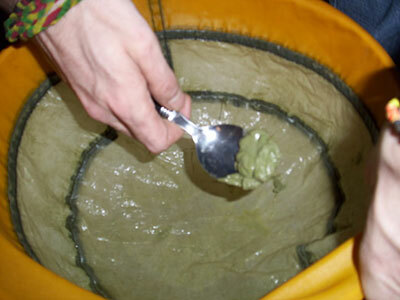 After a few minutes of stirring and churning, you are ready to filter a mix and get your hash! 4.) 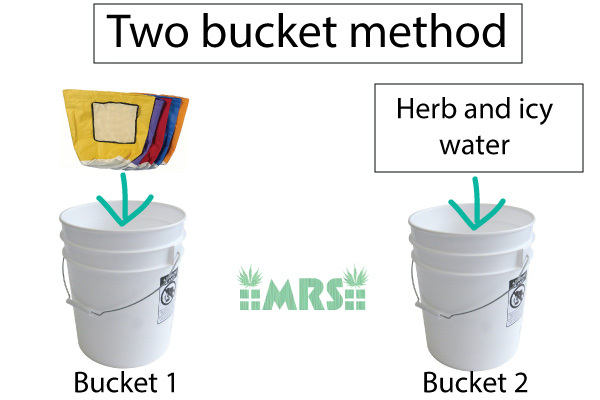 Take bucket 2, with the herb and ice water and slowly pour it into bucket 1. Stay away from the sides of the bubble bags and pour directly into the center of the screens. Go ahead and pour all of bucket 2’s contents into bucket 1. 5.) Now pull each bubble bag out one by one, letting the drip fall into the next smaller screened bubble bag below it. Your first bag is just your buds and trimmings. After this one drains just take it out, and use it again if you want for another run. They get weaker in yield and potency each consecutive time you do this. 6.) Repeat the draining process for each bubble bag in the bucket. You can lightly squeeze them to help drain faster, but again don’t over do it. Short firm downward “shakes” do a good job to help drain bubble bags quicker. As bubble bags are draining, remember to keep the gravity centered down in the middle, on the screens. This is your hash, you don’t want to be scraping it off the the sides of the bags when it comes time to collect it. 8.) Take what you get from the spoon and slop it onto the 25 micron pressing mesh screen in a pile. Completely cover it with the pressing mesh screen. Now use the towel folded over it to press this stuff dry and into a ball. Use all of your body weight, you want to get out all of your moisture. Work more to shape the ball and there you go – hash! *Don’t immediately store freshly made hash balls. There is still a lot of moisture in them, and if you go right to putting new hash balls in bags, they will mold. Keep pressing the hash ball with the finish screen and towel hard to get moisture out quicker. Bubble hash balls should be left in open air for a few hours, at least. 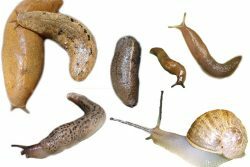 Left out in a clean, safe location overnight will dry them out to a safe storage level. That’s it. 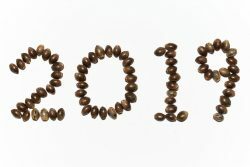 Repeat, reuse and enjoy. Remember to clean your bags. Use cold water to rinse the bags completely, and be careful as you do this. Don’t rip up the precious screens. Do not use hot water to clean bubble bags. 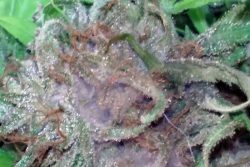 This will melt trichomes, leading to a sticky clogged mess that was worse than before you tried to clean it. For heavy clean-up, try using 99% isopropyl alcohol and gently scrubbing residue off with a soft brush. Then rinse with cold water and hang to dry. 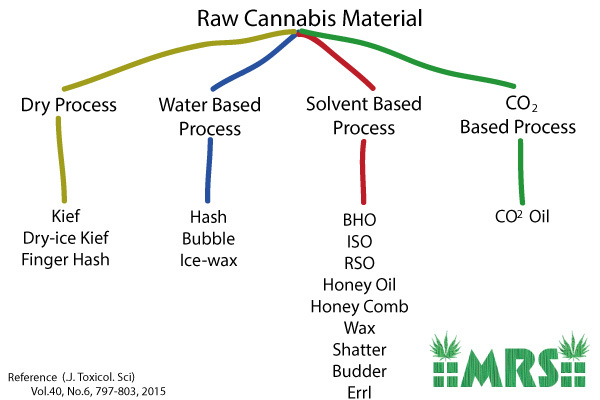 Dry and water based processes of making hash (Bubble Hash, Kief, ect.) are undoubtedly the cleanest methods available, safe from any unwanted contamination. 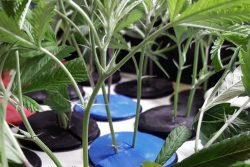 Other methods of hash production include liquid-gas solvent based methods such as BHO(Butane Hash Oil), ISO(Isopropanol Oil), RSO(Rick Simpson Oil) and the CO2 based ‘CO2 oil’. These can be pure and clean, but there are chances of residual solvent and pesticide contamination – the statistics below speak for themselves. 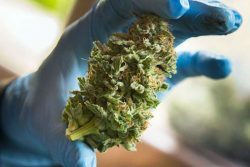 Chemical contamination of extracts and concentrates is a growing concern for medical and recreational legal marijuana users. And it should be. While not to condemn these concentrate/extract making methods, it should be noted that they have their dangers, and when not performed by people who know what they are doing, runs into sketchy territory. A recent study in the Journal of Toxicological Sciences proves this theory. 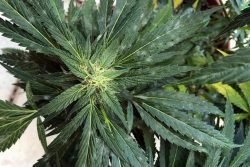 A cannabis testing lab (The Werc Shop) along with USC analyzed 57 different cannabis concentrates on the California medical marijuana market. 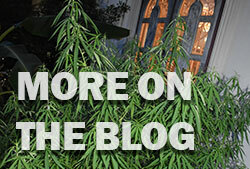 Fifty-seven samples of cannabis concentrates from California medicinal cannabis users were used. 48 of these being solvent-based, while the remaining 9 were dry or water-based hash samples, named the “hash” group. They were measured for presence of residual solvents and/or pesticides, as well as their cannabiniod levels. All of the “hash” samples tested (dry or water-based extraction, ie. bubble bags) were clean from unwanted contamination. Citing them as “exceptionally clean compared to the solvent-based concentrate” and theorizing that “Most hash processing uses large quantities of water which could potentially wash away pesticides which are water soluble while the non-water soluble cannabinoids remain behind” source. What this means is that the consumer should be very careful about trusting solvent-based extraction cannabis concentrates. Sure you get a more potent product, but there are potential dangers you should be aware of. I stopped using BHO when I saw how much butane doesn’t get out.